Anybody in the mood for an adventure? 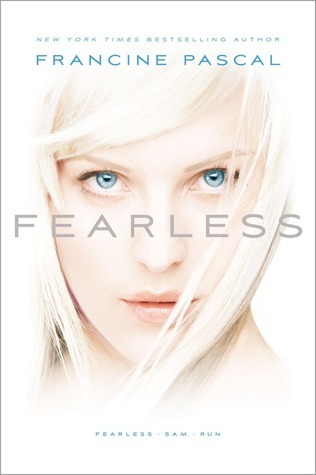 Then check out the first set of three books in one from the "Fearless" series by Francine Pascal! How much better would life be if you never felt fear? Never felt real nervous feelings associated with it? Only understood the broad concept but never had to deal with the breath laboring, the heart pounding, nothing at all? Pretty amazing, right? Or is fear a gift that we should all have? Well, Gaia (pronounced Guy-uh) is a girl who feels no fear. She feels adrenaline instead. Did I mention that she knows how to fight? Super well? Well, she does. So what's a few small-time criminals to her power? As she makes enemies, she makes one friend; the first since childhood. Her fearlessness is supposed to be her secret, and she keeps it well. But with killers on the loose, and people after her, how much longer can she keep her secret? The fun about this book is just thinking of how fun it'd be to be fearless. Fear is called a "gift" by many, but is it truly a gift, or is it more of an unneeded hassle? Then there are the characters. Some you'll recognize, such as the snotty popular chick, the once-popular guy, etc. Then there are characters that you haven't met: the old Jewish man who loves chess, the young wife, etc. Action and adventure are everywhere in this novel. Don't worry though; there's still some romance. As you're living out the fun and harm of Gaia's life, fighting in a park, annoying teachers, etc, you'll also be examining your own life, and your own fears. Recommendation: You'll not want to stop reading, so give yourself however long it takes to read the whole book. Don't stay up till 5 a.m. and get angry at the ending like I did, lol.